Well, the party is over and it’s back to life as normal. I’m really ok with that actually. I will spend tomorrow afternoon getting my packages together and hit the snail mail house on Monday. I really enjoyed doing a giveaway each day for the party. But I must admit that I am glad it is time to get back to regular writing. I have missed sharing my thoughts and ideas here. I’ve missed writing about the things close to my heart. My heart is sometimes just bursting forth with things to share. While I know that the Ultimate Blog Party was not supposed to consume your blog the entire period of time I kind of wanted it to. I had more ideas for it and I learned a whole lot of good stuff. Here are just a few things I’ve learned and how I’m gonna put what I learned into practice. I came across a lot of really awesome blogs during the party. My plan for weeks ahead is to feature some of them here to direct you to some new sites to read as well as to help my fellow partiers gain new readers. What fun is a party if you don’t spread the word about all the fun you had? So, if you found MY blog as a result of the UBP then chances are I’m gonna guide you to some other great friends I made while party hopping. I think if all of us partiers did that then the party could go on and the friendship circles can expand – which is really the point of the UBP in the first place. I will tell each of my new friends whose blogs I will feature that theirs is going to be featured so they can be ready for the new followers and visitors. I’m really excited to do this. I will probably just share one new one a week so I can get back on my regular writing schedule. Another thing I’m planning on doing as a result of the party is to begin finding out how to start making some money from my blog. I noticed along the party circuit that a number of you are making money from blogging. I have also grown to love creating blog buttons and I noticed quite a few of you don’t have one. So, I’m gonna work on improving my button creations. The greatest way to get return readers is to have a button someone can swipe and place on their blog. That helps your traffic to grow. If any of you have tips for me on these endeavors I would so appreciate them. It’s all new to me but it is a great way for me to help add to the family budget while doing something I love – blogging! And my party hopping led me to some great new weekly blog hops. I’m gonna shake things up in my left sidebar over there and add/subtract some hops and weekly projects that I have been participating in. If you don’t participate in any blog hops you should really think about doing so. They help get you writing on a more consistent basis and they help you make new friends and find new blogs. 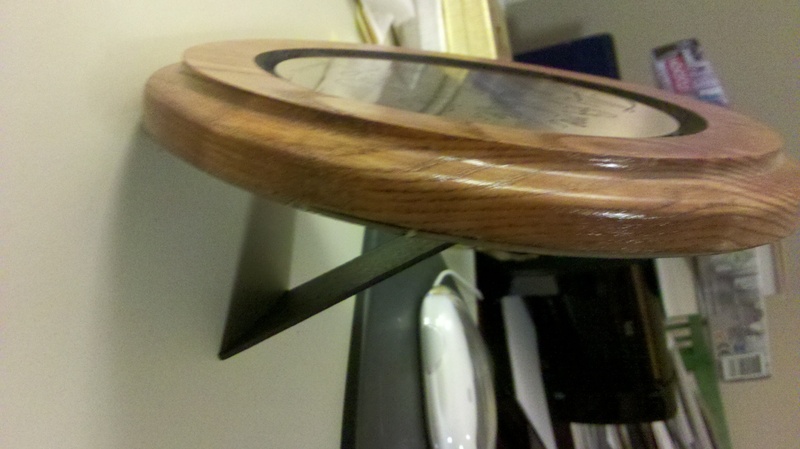 I love taking pictures with my cell phone so a lot of the hops I take part in during the week are photo hops. Those are fun. We all have the cutest kids in the world and the most gorgeous husbands God ever created. Who wouldn’t wanna show them off? These are the things I learned from the Ultimate Blog Party circuit last week. What did you learn? I wanna hear about it. You might give me even more ideas. We can all teach each other something. Contrary to popular belief I don’t actually know everything and I wanna learn more. Of course I would never admit that out loud to my family because I totally have them all hoodwinked. They are all sure I know it all. So, I’d appreciate it if you wouldn’t give my little secret away……. It’s hard to believe that today is the end of the Ultimate Blog Party hosted by 5 Minutes for Mom. Where has the week gone? WOW! But what a fun week it has been. I had plans for the week that never panned out because I ether felt too bad or just ran out of time. Let’s go with the second one. Today is the final giveaway for the party week as well. 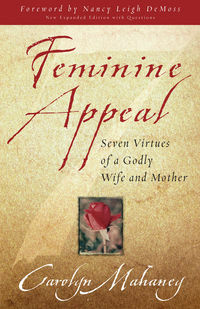 Today’s door prize gift is a book title Feminine Appeal – Seven Virtues of a Godly Wife and Mother by Carolyn Mahaney. It is also signed by the author. The chapters are about Loving your husband and your children, Self-Control, Purity, Working at Home, Kindness and Submission – all topics written according to Titus 2. As a Christian wife and mother, following the Bible directives on how to accomplish my roles according to His instructions. This is an easy read with just 138 pages. It would be a terrific guide for a women’s Bible study. *Leave a comment telling me the best book you have read (other than the Bible). *Leave me a comment telling me about your favorite new blog you have discovered via the Ultimate Blop Party 2011 if you have participated. *Tweet/FB this giveaway then come leave me a comment telling me you have done so. I have truly enjoyed hosting these giveaways this week. It has been fun to offer you a prize. My plan is to eventually visit each of your blogs so you don’t feel like you have left comments in nothing-ville. I feel that way a lot. I have refrained from comments during these giveaway entries because it would mess with the comment counts. As with the other giveaways this week. This one will end at 9:00 CST. I will be working on getting these packages ready to send on Monday. Again, thanks for visiting and playing along. I enjoyed celebrating with you. How Much Time Do You Spend As Family Time? This Door Prize Will Help! How often does your family spend together bonding with one another each week? I know it is difficult to get everyone together in the same place at the same time. But there really isn’t anything more important as a parent than putting all else aside to spend time together with your family talking and laughing and focusing on them and only them. Those are the times that your children are gonna remember when they are grown. Well, those are the POSITIVE things they are gonna remember. When your children are adults do you want them to remember you as a parent who liked you and enjoyed being with you – a fun parent who made time for his/her family? Of course you do! None of us want our children to look back on our parenting skills and think “she/he was always working and was rarely home for family time” or as a parent who always “complained about having to take time off from work (even if it’s not work hours) to go to our sporting events/school or church activities”. Our families (whether we are the mom or the dad) should be our number one concern. Whether we realize it or not we are teaching our children how to be parents to their own children some day. When that day comes for them we should all want our children to say that we were a great example of how to be a mother/father. None of us want to think about the possibility of them saying they don’t want to be like us. Are you parenting in such a way that makes them proud to call you their mom/dad? Do you think they say positive things about you behind your back or negative things? It should matter to you! And if you think they are saying negative things it should be a warning to you that something needs to change in your method. Parenting is time consuming and is a full time job – whether you work away from home or are a stay at home parent. And growing up is hard. Our responsibility as parents is to teach our children how to be a positive contributing member of society as adults. That takes TIME! Time with our children (and our spouse for that matter but that’s not what this is about today) speaks the language of love to them. Our children don’t care about all the work that’s piling up on your desk at the office. They care about the sacrifices you make in order to spend time with them. And as a side note the time you spend with them doesn’t mean a hill of beans if the whole time you are with them you are complaining about being there, talking on the phone or keep checking your email. All of those just act to negate the positive you think you are accomplishing by showing up. Some of the best ways to spend quality time with your family is something that our family really enjoys – GAME NIGHT!! That brings me to today’s Ultimate Blog Party giveaway. Think of the lesson you teach them when you play a game. You are teaching teamwork, being a gracious winner and/or being a good loser. 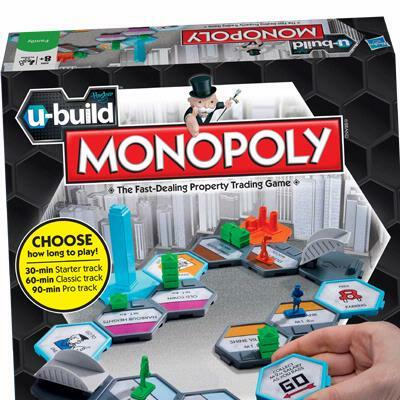 And with a game like Monopoly you are teaching them how the financial world works as well. All of that while you are showing them how important they are to you and how to be a caring and loving parent. And each of those lessons are extremely important but the greatest lesson of all is that THEY are more important to you than the work piled high on your desk or your own “me” time with friends. It all makes you think! At least it makes me think…..
*RT/Facebook/Stumble this giveaway and leave me a comment with a link to your tweet/FB/Stumble so I can see it too. Keep in mind that the more of the above you complete and comment about the more entries you will have for the contest. So leave separate comments for each one. I will be mailing out this week’s party prizes all together on Monday April 11th. Today’s giveaway will end at 9:00 p.m. tonight. Watch for a post announcing the winner about 9:30 tonight. Good luck! Make sure you INK in some QUALITY family time soon. Your children need it – and so do you! 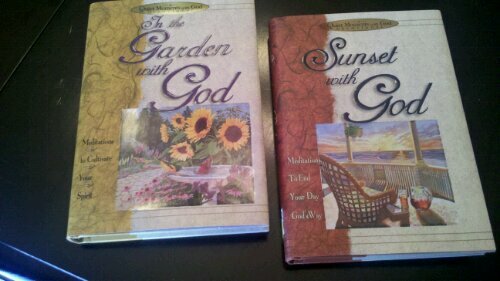 Today’s Ultimate Blog Party Door Prize is a twin pack of devotional books. In The Garden With God and Sunset With God. A daily quiet time with the Lord is so very important in our Christian lives. We need to talk to Him by prayer every day. And we need to listen to Him every day as well. One of the ways that He speaks to us is through the reading of His word. But another way we can hear from him is through the reading of other books such as devotional books – such as these two. He blesses some people with the gift of writing in such a way that their words reach out and touch us in such a real way that it’s almost as if we believe the words were written specifically for us. I don’t know if you have ever read a book and a particular part just jumped right off the page and nearly smacked you in the face. You may have even felt as if that particular section was written JUST for you. This happens to me a lot. Those are ways the Lord speaks to us. Just thinking about the Lord “speaking” to us may seem foreign to some of you because when we think of someone speaking to us our mind immediately goes to an audible word spoken from one person to another. However, God doesn’t have to work like that. He can choose so many other means to get a message to us. Devotional books are one of those ways. I have books on my shelves that the Lord has used to answer questions, given me advice, brought me a blessing or even answered a prayer. You just never know where a message of the Lord is going to come from. Each of these books are full of easy to read and short words from God. They may just hold the answer to some of your questions, problems or prayers. I wish I had a set to give to everyone. However, I only have this one set. Today’s requirements to qualify will be a little different than those of the past few days. Remember, each comment you leave is another chance to win. *Leave me a comment telling me when the Lord has “spoken” to you about something. *Leave me a comment telling me about a time the Lord has used a certain BOOK to “speak” to you other than the Bible. *Leave me a comment telling me about the author that God has most used to bless you in some way. *Leave me a comment telling me where I can find you on the internet – Twitter, Blog, 365Project, Facebook – wherever. If you do ALL of those then you will have 7 (SEVEN) chances to win!!!!! In turn I will pray for each person who leaves a comment today. I will pray that the Lord will reveal himself to you and speak to your spirit in some way today. I trust that the Lord will place these books into the right hands of the one who needs them most. The contest will run until 9:00 p.m. CST tonight. Any prizes won this week will be mailed next Monday April 11th so I only have to make one trip to the post office. Is it possible that today is the halfway point through the Ultimate Blog Party? WOW!! I have so many good things to give away! 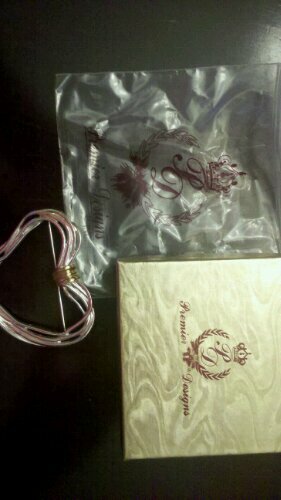 Today’s giveaway is another piece of Premier Designs jewelry. It is so beautiful! 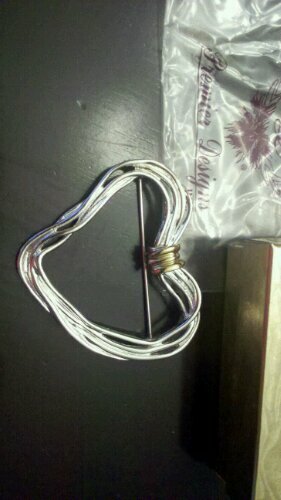 It’s called Strings of Love. Like yesterday this giveaway will run from 9 a.m. to 9 p.m. That’s 12 hours to enter. But don’t wait too long. Before you know it the day will be over. And you definitely don’t wanna miss out on this! I am enjoying this party week so much because I am meeting some great new people – like YOU. And I’m finding so many terrific new blogs to read – like YOURS. If you look in my right sidebar you will find some new blog buttons – one of them might be YOURS. If this is your first visit to my blog, where have you been? This is where it’s happenin’! This is the place to be. This is the party with the cool door prizes. But there are also a LOT more terrific stop to make on the party circuit. Make a quick run over the 5 Minutes for Mom and check out the Ultimate Blog Party entry. You will find hundreds of blogs to visit. Today’s requirements will be a little different than the previous days requirements. Gonna shake it up a little bit. 2 – Subscribe to my blog via email (left sidebar) or via RSS feed (bottom of right sidebar). Be sure to leave me a comment telling me. Have fun with this one! Good luck! Wonder what tomorrow’s door prize will be………. Welcome to another party day! Isn’t party hopping fun?! I know when I used to sell Tupperware and then later when I sold Premier Designs the free gifts I would give out would be the best part. People love to get goodies for free. And as I promised on the first day of the Ultimate Blog Party I was going to give away a door prize every single day. I think today’s prize is a terrific choice for a Sunday. Just by way of information, you can enter every single day to win. So I suppose it is possible for the same person to win every single prize. So, if you entered a previous contest for a door prize you can enter today’s again as well…and tomorrow’s and the day after that…and so on. 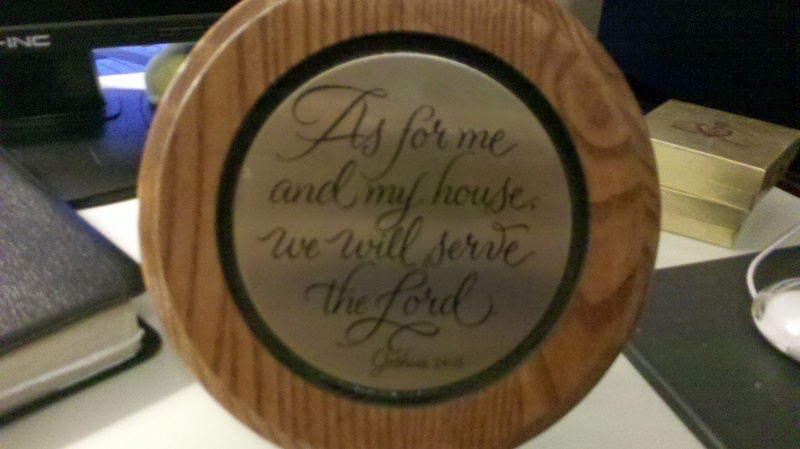 This is a lovely decorative item with the verse Joshua 24:15 that says “As for me and my house we’ll serve the Lord”. I took a picture of the stand in the back so you could see that it can stand like a regular picture from. You can also hang it on the wall in a display. *Follow me on Twitter if you don’t already. Leave a comment saying that you have done so or that you already do follow me. *Tweet/Facebook this giveaway. Leave me a comment what you have tweeted/Facebooked. *Visit my 365Project site. Follow me there if you have a 365Project page. 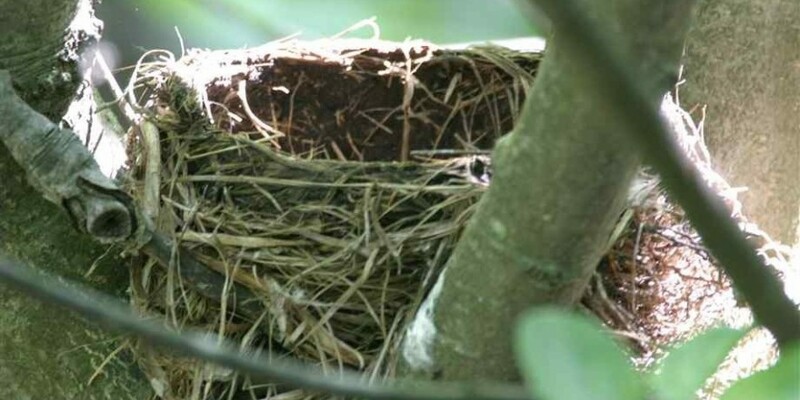 Leave me a comment here with the link to your project page so I can follow you as well. *Sign up for updates from this blog in the subscription box to the left. If you are already following then leave me a comment stating that you are. That gives you 4 entries in the giveaway. I wish you luck! Keep in mind that because I am hosting a giveaway every day of the Ultimate Blog Party I will be mailing all winners their prizes on one day, April 11th. That way I only have to make one trip to the post office. Watch here after 9:00 CST Sunday night to find out the winner. In trying to decide what to blog about today I started thinking through all the great blogs I have seen so far during the Ultimate Blog Party 2011. One thing that I’ve seen a lot of people do is list some of their past entries that allows their new readers to get more of a gist for who they are and what their blog is about. So I thought that is what I would do today. My blog is fairly diverse. While I am a wife and a mom to two teenagers, I also suffer with depression and Fibromyalgia. So, you never quite know what you’re gonna get when you come here. One thing I do try to do is NOT blog when I am depressed because it just seems to come out all whiny and dark. I figure noone wants to read that. So, those days I just stay away from here. You’re welcome! So, now, I will get to the heart of this entry and chose some posts to share with you. I only have 6 years worth of entries to look through. I probably should make some tea before starting but I’ll just dive in. I just went back and read my first blog entry EVER! It was on August 8, 2005. Geez Louise!! I’ve been doing this a long time. Back then it was all about homeschooling. That seems like a lifetime ago. Spoons are the most Important Utensil In The Drawer was an entry about my battle with Fibromyalgia and the Fatigue that goes along with it. If you also deal with a Chronic Illness I encourage you to check this entry out. It contains some great information about how to deal with the fatigue and pain as well as how to explain your battle to those you love. You will find a link in the entry to a wonderful website that is a terrific source of resources to help you. It is also where you will find the original Spoon Theory written by Christine Miserandino. Am I a Friend Who Is Really A Friend? Are You? is an entry that I wrote while evaluating what true friendship is. Every now and then I will jump on the NaBloPoMo band wagon when a theme jumps out at me. The theme for January was Friends. Never did I ever expect that theme to lead to my evaluating friendships that I have had for long periods of time and finding out that perhaps not all of them were TRUE friendships. Writing those entries opened my eyes and allowed me to see that some of my “friendships” were merely surface relationships and some were very one sided. That was a painful lesson to learn. The entire month of January is full of entries describing that learning process. I have since made some decisions and cut some ties and have found myself to be much happier. My Depression Story is an explanation of my journey to discovering my battle with depression for what it is. Depression is a battle that I don’t wish on anyone. Nevertheless, many of us have been given this path to walk in our lives. It’s a battle that I continue to fight daily. If you also walk this path, look around and you will find many others on the path with you. You and I are not alone. It is a very common burden to bear. None of us have to bear it alone. If you deal with it like I do I hope that you will become a regular reader here because we can support one another. 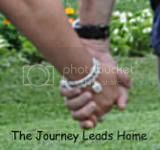 To wrap it up here is a link to another entry about a big part of my life, My Fibro Story. I’ve fought it for 17 years. Some days I feel like I finally have a handle on it and then other days I feel like I did in the beginning – confused and lost. My hope in writing/sharing my Fibromyalgia battle is always to help someone else who might be in the same situation as me. I have written a LOT about Fibromyalgia. My prayer is that you will take the time to do a search and hopefully find something that will help you. There is a search feature for my blog in the left sidebar. If you type in the word Fibromyalgia I think you will have plenty to keep you busy for a good long while. I noticed in sharing this handful of posts that there is very little about my family. I don’t want to overwhelm you though. I will share another post another day that will guide you to each of my family members. They are all magnificent blessings in my life. There just isn’t enough time to lead you to entries describing each one along with these others. All of us have been created with many facets to our lives. None of us fit a perfect mold of what a human being is. If you were to sit down and look through your posts I think you would find the same is true for you. We are all like puzzles. Each piece is a different shape but when all put together in just the right way we create a beautiful picture. I think the Puzzle of Pam is still a work in progress. And I’ve learned that my edges are not all smooth and straight. I’m a little rough around the edges. That’s what makes us all unique. Who are you? What is your puzzle going to look like when you are finished with it? Take a glimpse at your blogging history and see how far you’ve come in putting the puzzle together.